At its Annual Meeting in June, the American Medical Association (AMA) House of Delegates adopted the following actions regarding graduate medical education (GME) funding. A complete summary of all House of Delegates actions is available through the AMA web page at http://www.ama-assn.org/meetings/public/annual99/reports/reports.htm. 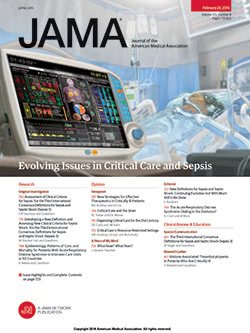 Preventing Negative Effects From the Balanced Budget Act on Teaching Hospital Missions asked the AMA to work with other organizations to maintain existing Medicare funding for GME until another funding system is developed. The resolution also asked the AMA to continue to advocate for adequate and stable funding for medical education and research and equivalent funding for childrens' hospitals. The Balanced Budget Act of 1997, which reduced funding for teaching hospitals, seems to be contributing to financial instability at teaching hospitals. Noneducational Closing or Downsizing of Residency Programs was referred to the AMA Board of Trustees for further discussion. This resolution had asked the Accreditation Council for Graduate Medical Education to encourage residency programs that undergo downsizing or noneducational closings to seek funding for residency slots. The funding should be sufficient for all residents in good standing at that program to complete their residency training or should last until they have started in a commensurate paid residency position. The House of Delegates felt that a comprehensive review of this topic was needed. Policy Options for Support of Graduate Medical Education summarized many AMA recommendations regarding GME funding and physician workforce planning. The report discusses the number of medical school graduates and funded GME positions. It also calls for a stable system of funding GME, including contributions from all groups that pay for patient care. The complete report is available at the above-named Web site. Medicare Support for Duration of Residency Training asked the AMA to support a technical amendment to legislation regarding Medicare direct medical education funding so that the legislation would support full funding for all residents in an approved program up to the point at which the resident is eligible to become board certified. Medicare Payments to Teaching Physicians, the Primary Care Exception concerns Medicare payments to attending physicians for patient care provided by residents. Currently, the Health Care Financing Administration allows attending physicians in primary care specialties to bill Medicare as long as the attending physician is "immediately available." Attending physicians in nonprimary care specialties must be physically present to bill for services provided by their residents. The report recommends that the AMA (1) support continuation of the "primary care exception" for teaching physicians, (2) work with Health Care Financing Administration and Congress to modify the primary care exception to extend to physicians' offices and other eligible sites, (3) monitor and support legislation to enhance the availability of teaching physicians through fair and consistent compensation, and (4) support extension of the "primary care exception" to all specialties.